Muddy Loafers: CHRISTINE GRANVILLE –THE FLAMBOYANT POLISH SPY. CHRISTINE GRANVILLE –THE FLAMBOYANT POLISH SPY. Christine Granville Britain’s first female Special Agent of World War II, was Churchill’s favourite spy. A woman who loved adventure, her exploits and espionage work during WWII are truly mind boggling. Born Krystyna Skarbek, this young Polish woman was the Beauty Queen of Warsaw at the age of 19. But she was well aware that “Beauty has a short lived reign.” Early in life she realised that life was duty and only intelligence and resourcefulness could bring true fulfillment and self esteem. Krystyna was born on the 1st of May 1908 in Warsaw, to Roman Catholic Count Jerzy Skarbeck and a wealthy Jewish heiress from a Banking family, Stephanie Goldfeder. She was greatly influenced by her father who encouraged her to be a tomboy, and created in her a love for the outdoors. Horse riding and skiing were skills she acquired from a young age. But Count Jerzy Skarbeck loved the good things of life and squandered the wealth of his wife, leaving the family in straightened circumstances on his death in 1930. To support the family, Krystyna took up a job in a Fiat dealership company. She had to give it up within a few months as she developed severe allergy to the automobile fumes. On medical advice she spent more time outdoors and became an expert in hiking and skiing in the Tatra range of mountains in southern Poland. Christine became an Intelligence Courier skiing over the Tatra Mountains at night, in temperatures sometimes as low as -30C, to dodge the Border Patrols. With her bravado and cunning she was well suited for the job. She took British propaganda into Warsaw to bolster the spirit of the Polish Resistance. Then she skied back over the mountains with secret information about the deployment of German SS and Wermacht units stationed around Warsaw. She helped organize a system of Polish couriers who brought Intelligence from Warsaw to Budapest. In 1941 she was arrested by the Gestapo along with a Polish Army officer Andrzy Kowerski, and faced torture and death. But with her penchant for cunning, she bit her tongue to make it bleed and pretended to be suffering from Tuberculosis. Terrified of contracting the disease, the Gestapo officers set both of them free. Kowerski the one-legged Polish hero and Christine had a long and serious relationship since they met in Budapest in 1939. They worked together in Budapest, Poland and Cairo. This however did not prevent her from having affairs with other young men. She even dated Ian Fleming for over a year. He was so impressed by this brave lady who travelled with a knife taped to her thigh and a suicidal pendant around her neck, that his heroine Vesper Lynd in Casino Royale was modeled on Christine. Christine’s greatest exploit was shortly before the Allies invaded France in 1944. She parachuted into France as Madam Pauline Armand, to assist the French Resistance fighters in advance of the American ground invasion. Francis Cammaerts and his men of the French Resistance were caught by the Nazis and faced execution. Christine stormed the office of the prison guard in Digne, posing as a British agent. She announced that Digne was soon to be bombed and the Allies were advancing rapidly. The guard could only save himself by releasing the French prisoners and seeking pardon. He took her to the Gestapo officer who was in charge. 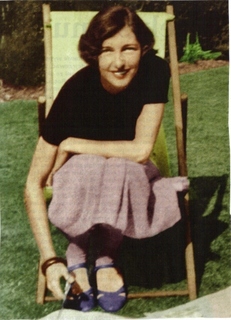 Christine threatened him with death at the hands of the French mob when the Allies attacked. She also offered him a bribe of two million francs. Cammaerts and his men were released and went on to be the key liberators of France. Her daring act restored Christine’s political and military reputation, as there were some in British Intelligence who suspected her of being a German spy. She was the only female subaltern who was promoted to Captain. She worked in Europe till the end of the war. Post war, Christine was not absorbed into the British Intelligence Service but was discharged with five months of severance salary. Because of the Anglo-American betrayal of her country at the Yalta Conference in 1945 to Stalin’s ruthless regime, Christine was rendered stateless. The British dragged their feet over her citizenship until 1946. By now she was divorced from her husband. With no financial reserves to fall back on, this once flamboyant anti-Nazi agent took on a low paying job as stewardess on the Union Castle Line. She booked into the cheap Selborne Hotel in Earl’s Court on June 11th !952. She was stabbed to death in the lobby on 15th June, by a man named Dennis Muldowney whose advances she had spurned. Christine’s planned meeting after the war, with long time lover Andrzy Kowerski never took place. This brave woman who was once a law unto herself was interred in St. Mary’s Catholic Cemetery in Kensal Green, North London. Kowerski died in Munich in 1988 and his ashes were flown to London, to be buried at the foot of her grave. Christine was awarded the George Medal for her exploits in Digne. In May 1947, she was made Officer of the Order of the British Empire for her war work in conjunction with British Secret Service. The French decorated her with the Croix de Guerre for her contribution to the liberation of France. One is left with the feeling that this daring Polish espionage agent in spite of being Churchill’s favourite spy, was eventually short changed by Britain.